The update will be pushed late tonight. If you go to bed, it should be waiting for you in the morning. West Coast members and night owls may be up to see it. It’s a good idea to keep your phone charged if possible and plugged in overnight. You don’t have to keep it on, but you can. 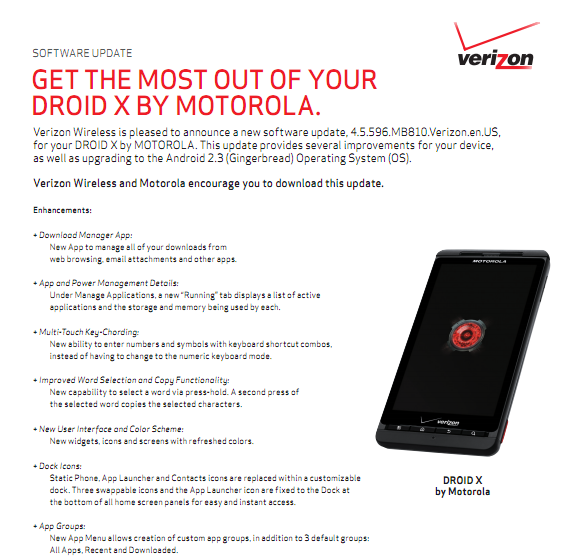 The mention of root access is quite interesting here, especially the "even then we can't guarantee the update will work" bit. We'll keep you posted as more information comes around. 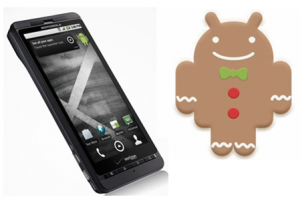 There you go, Droid X owners - we finally have an official date for the Droid X Gingerbread OTA (well, the beginning of it, anyway). According to Android Central, the first wave of the OTA update should begin rolling out this Friday (May 27). 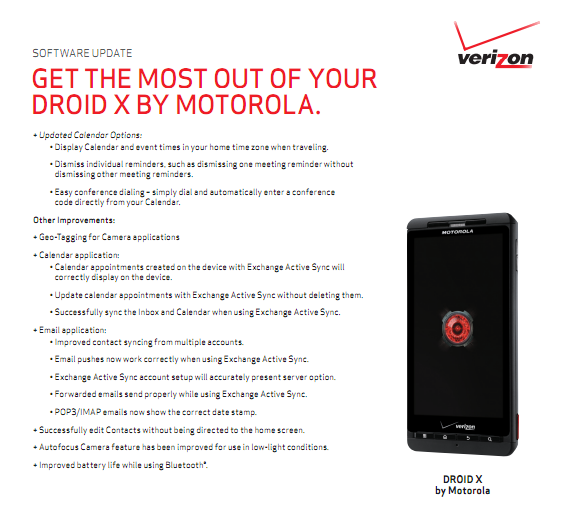 This much anticipated update will not only bring Gingerbread (Android 2.3) to the Droid X, but also a new download manager, an updated app manager, a finer-tuned multi-touch keyboard, updated MotoBlur (GingerBlur), app grouping, updated calendar, a fix for Exchange Active Sync (calendar and email), and improved battery life, according the official changelog. Keep it locked here on Friday, because as soon as we get confirmation that the update is indeed rolling out, we'll make sure to grab a copy of the file so you can manually update.